The popular chipset makers Qualcomm unveils new processor on regular basis to give the power in the new smartphones, in the recent time, the company has launched a variety of processors and that is capable to give you lots of advanced features even in the budget as well as mid-range oriented smartphones. 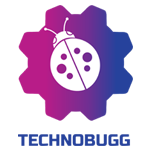 Well, now the company has expanded its portfolio and unveiled three new SoCs i.e. Snapdragon 665, Snapdragon 730, and Snapdragon 730G, and that is coming with improvements in artificial intelligence, camera as well as gaming. 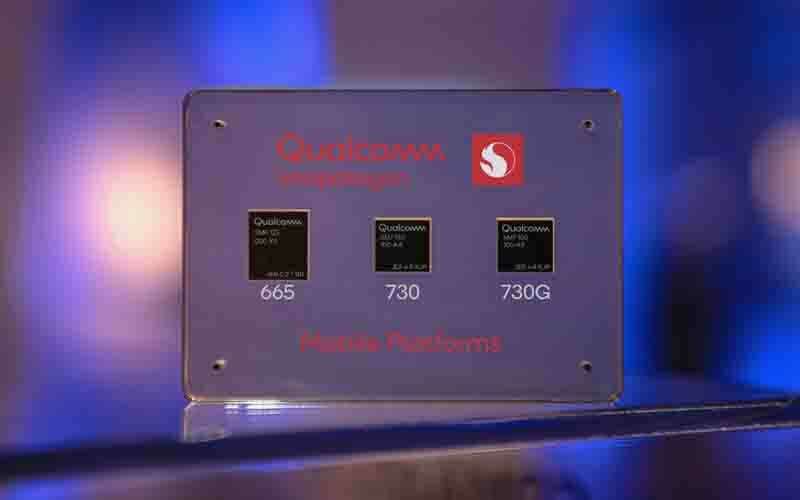 So, without wasting any time let’s dive into the article to check out more about the newly unveiled Qualcomm SoCs. This offers Kryo 260 CPU with four performance and four efficiency cores, along with Adreno 610 GPU and also supports the Vulkan 1.1 graphics driver. The SoC also supports the Qualcomm aptX Adaptive Audio and Aqstic to boost gaming experiences. The Snapdragon 665 also comes with its Spectra 165 ISP and that will give support for the triple camera setup and also offers AI support to provide features like scene recognition and auto adjustments like HDR. Moreover, it will also support the features like hybrid autofocus, optical zoom, zero shutter lag, and the ability to capture as large as 48-megapixel images. This processor will also support features like 3D Face Unlock, and the chip comes with a third-generation Qualcomm AI Engine, along with the Qualcomm Hexagon 686 DSP and Qualcomm HVX and this will offer advanced imaging and computing results. Moreover, the company claims that the chip has built-in technologies and developed to deliver up to two times faster on-device AI processing. Speaking about the connectivity, it is based on 11nm FinFET process technology, and the Snapdragon 665 SoC also has X12 LTE modem which is capable to offer the download speeds up to 600 Mbps. The chip also supports Wi-Fi 802.11ac, and Bluetooth v5.0, TWS+ earbud support, and Tx Broadcast audio. Furthermore, it comes with Qualcomm Quick Charge 3.0 fast charge technology. This is meant for the mid-range smartphones and the new Snapdragon 730 SoC loaded with some of the technologies that were previously exclusive to the Snapdragon 8xx series i.e. flagship devices. And the chip has a fourth-generation Qualcomm AI Engine that provides on-device interactions for gaming, voice, and security. The new AI Engine works alongside the Qualcomm Hexagon 668 CPU that has a Hexagon Tensor Accelerator for dedicated AI processing. It is based on an 8nm process and comes with a Kryo 470 CPU that includes two performance and six efficiency cores, along with Adreno 618 GPU for the graphical task. And also supports true HDR mobile gaming with 10-bit colour depth and Vulkan 1.1 graphics. It also supports both Qualcomm aptX Adaptive audio and Qualcomm Aqstic audio technologies. The Snapdragon 730 features a Spectra 350 ISP with a dedicated Computer Vision (CV) ISP. It can also offer 4K HDR videos in Portrait mode to bring a bokeh effect not only to still shots but also to high-quality videos, and also supports the HEIF format support that is promised to store photos and videos at half of the file size. The Snapdragon 730 SoC also comes with the X15 LTE model and that offers download speeds up to 800Mbps. Further, the chip supports Wi-Fi 6-and comes with Qualcomm Quick Charge 4+ technology. Well, this is specially designed for the games, and it packs most of the specifications of Snapdragon 730. However, it is capable to offer upto 15% faster graphics rendering from the regular Snapdragon 730, and the 730G Soc overclocked the Adreno 618 GPU which will give amazing graphical experience. The company claims that it will give true HDR gaming with over 1 billion shades of colours. The chip also supports a QHD+ display to support high-end mobile games on new gaming smartphones. Furthermore, there are improvements such as support for Cinemagraph, lower-power voice activation, and HD super slow-motion video recording at 960fps. Finally, the Qualcomm Hexagon Voice Assistant and this will take the Google Assistant and Alexa to the next level. The Qualcomm Hexagon Voice Assistant is implemented on both the Snapdragon 730 and Snapdragon 730G, and that uses Aqstic audio codec on its new Snapdragon SoCs to enhance voice assisting experiences. Speaking about the availability, the Snapdragon 665, Snapdragon 730, and Snapdragon 730G SoCs are already commercially ready, and the OEMs are expected to implement into their devices sometime in the middle of this year.